Veteran actor Anupam Shyam needs no introduction, where he has been a part of some of the best films and shows over the years. However, he is best remembered for his role as the ruthless Sajjan Singh in Star Plus' Mann Ki Awaz - Pratigya. Post that show, Anupam has been a part of multiple shows but hasn't been in any show for the past 4 years. 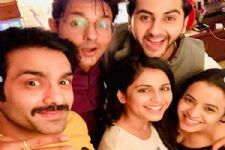 And now, after all this while, Anupam will be making his come back to television in yet another Star Plus show, in the form of Krishna Chali London. Yes! That's right. Anupam will be seen playing the role of Shukla (Bhagwan Tiwari). With Bhagwan and Anupam in the same frame, we can be certain of some acting brilliance too. 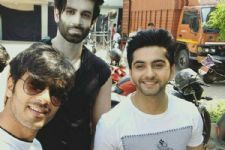 #EXCLUSIVE: Thapki Pyaar Ki fame Ankit Bathla to enter Krishna Chali London!